Im Evilly Fluffy. Fear my fur. Location : I thought we were playing hide and seek!?! How much do you like Evil Kitties? 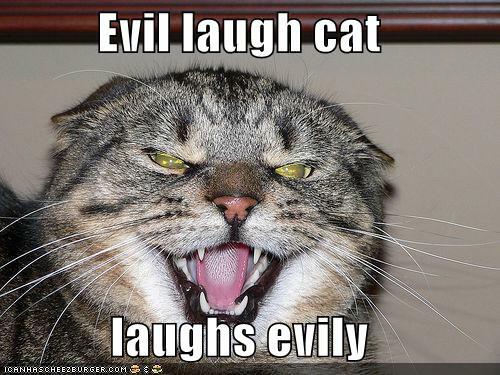 : evil kittyz? THEY ROCK!!! well there alot of things you can do. . .
#6 what does ur evil laugh sound like? # 7 if u were an evil kitty who would u torture first? see alot of things to do! i would torture my cousine because she is nice but whenever there is just one other person she teams up with them against me.